According to the European Banking Authority, Belgium is doing well when it comes to corporate governance. Since the financial crisis, the attention for efficient risk management has been growing constantly. Most of the financial institutions offer training programmes and e-learning dealing with their risk management mechanisms. 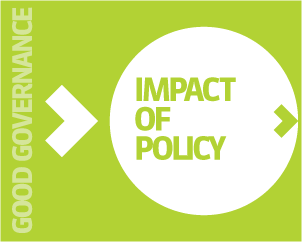 In laying down its policy, the financial sector takes into account economic, social, ethical and ecological factors. Several financial institutions put a limit on their lending to specific sectors. The approach as for the decision about lending will be different for companies belonging to controversial sectors. An ethical way of doing business is a strategically important priority issue for each financial institutions. Within a strong economy, employment is vitally important. Currently, the number of direct jobs in the financial sector amounts to about 100,000 and that of indirect jobs to about 120,000. In 2011, the financial institutions reported a total of 3,831 suspect transactions.